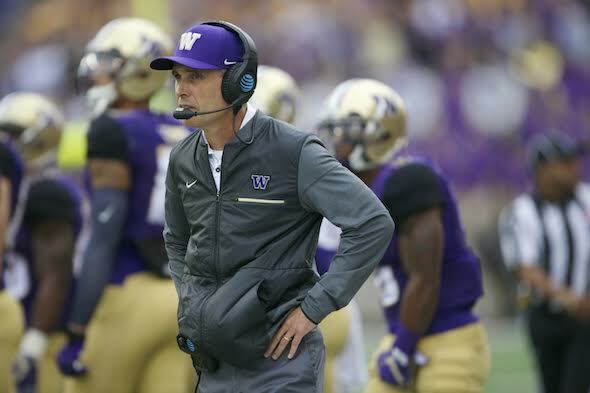 After dropping 12 consecutive games to Oregon from 2004 through 2015, and by an average margin of 23.75 points, Washington went to Eugene last season, received a school-record six touchdowns passes from Jake Browning, and pancaked the Ducks 70-21. 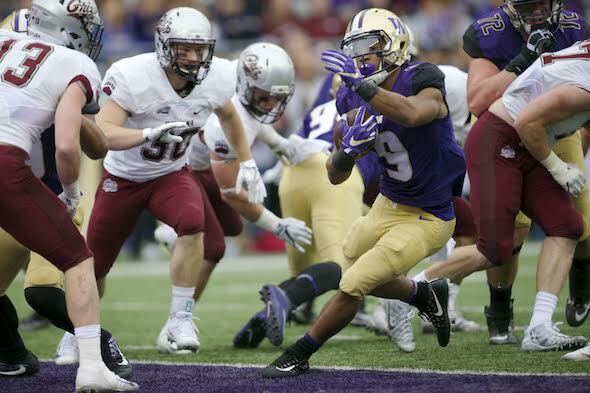 Browning also ran for a pair of scores as Washington administered an epic beating following years of Oregon-induced misery. During the Pete Carroll era, the Seahawks have faced Aaron Rodgers eight times, Tom Brady five times, Drew Brees four times and Peyton Manning twice. Before Carroll came along, various Seattle teams dueled with Hall of Famers Roger Staubach, Terry Bradshaw, Fran Tarkenton, Joe Montana, Dan Fouts, John Elway, Dan Marino, Brett Favre and Kurt Warner, among others. 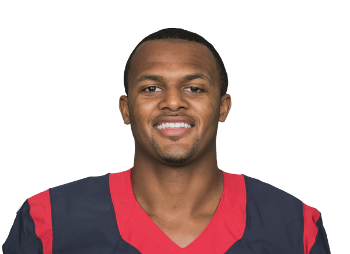 In a 42-34 loss to the Kansas City Chiefs two weeks ago, DeShaun Watson of the Houston Texans threw five touchdown passes without an interception, becoming the third rookie quarterback in NFL history to accomplish such a feat, joined Chicago’s Ray Buivid (1937) and Tampa Bay’s Jameis Winston (2015). Stellar as it was, the production might not have been the former Clemson star’s best effort of the season. 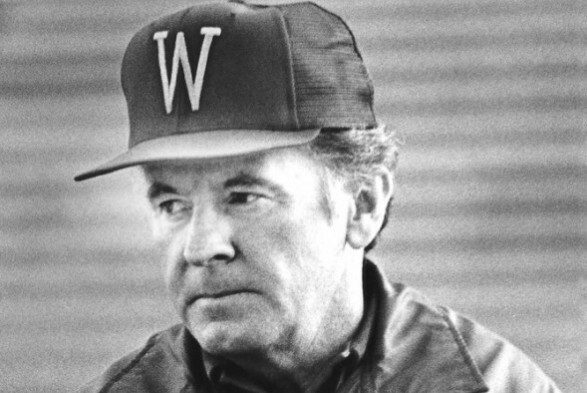 For most of the past three decades, University of Washington athletic officials tried without success to hire the ideal replacement for Don James, who coached football team from 1975-92 and died in 2013 at 80 from pancreatic cancer. They hired nearly half a dozen men but none came close to replicating the program James built, and at least one failed spectacularly. 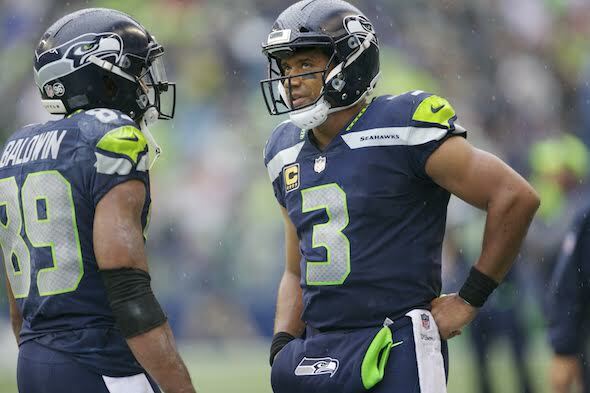 Obscured by numerous other developments in the Seahawks' 24-7 win over the New York Giants, including an 0-for-10 sequence in the first half on goal-to-go plays, was the fact that Wilson’s 27 completions Sunday at MetLife Stadium were spread among 11 receivers. 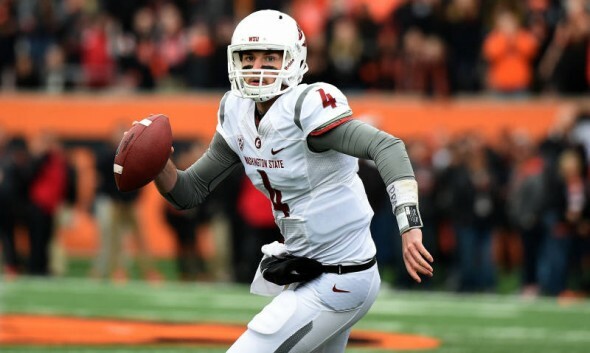 Given his history, chances seem excellent that Luke Falk will never again experience the kind of calamity that befell him last week in Berkeley. Playing against a Cal team that was 1-51-1 against Associated Press top 10 teams since 1978, the Washington State quarterback threw a career-high five interceptions, including one on his first pass, one in the end zone and another in the red zone on a botched shovel pass. Washington is a 17.5-point pick over Arizona State Saturday night in Tempe (7:45 p.m., PT, ESPN) even though the Sun Devils have some compelling data in their favor. According to ESPN's College Football Power Index, the Sun Devils will be the best team the Huskies have faced, having supplanted the previous best, Colorado. 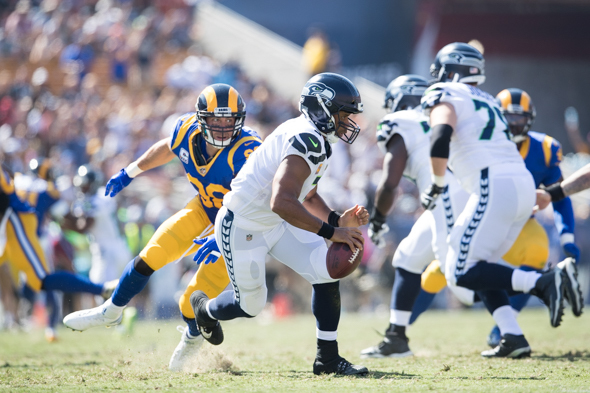 After falling behind 10-0 Sunday to the Rams at the Los Angeles Coliseum, the Seahawks knitted together 16 consecutive points to post a 16-10 victory that vaulted Seattle (3-2) into the NFC West lead. Entering the contest, the Rams carried the NFL’s highest scoring average, 35.5 points per game. 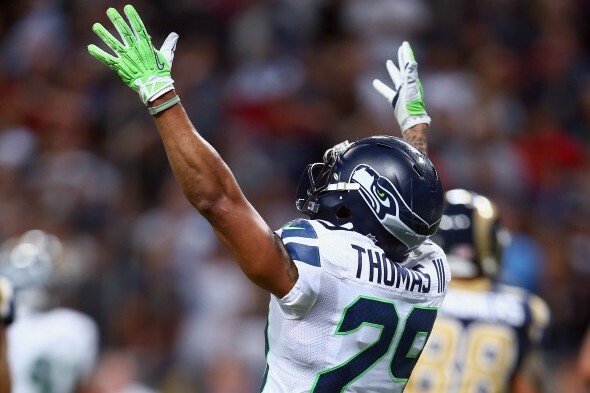 Before all focus is trained on the Seahawks-Rams game Sunday at the Los Angeles Coliseum, a final note on the Seahawks-Colts. 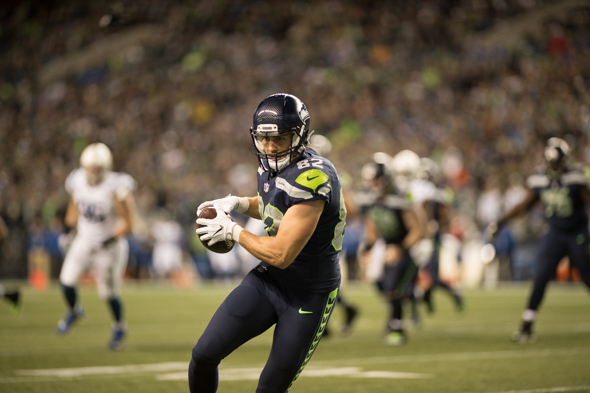 In Seattle's 46-18 win, the Seahawks scored two rushing touchdowns, two passing TDs and two return TDs. 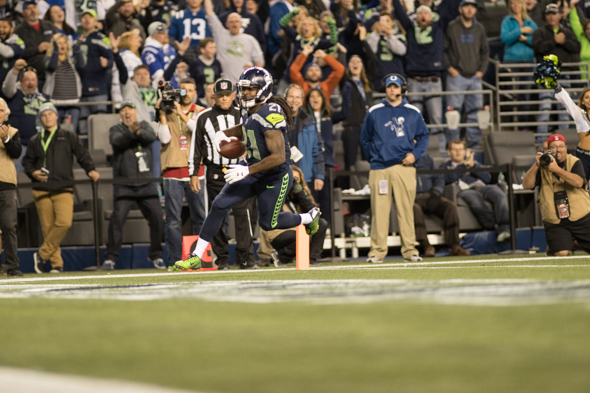 Never in their four decades had the Seahawks tallied with such a combination of scores. RB J.D. 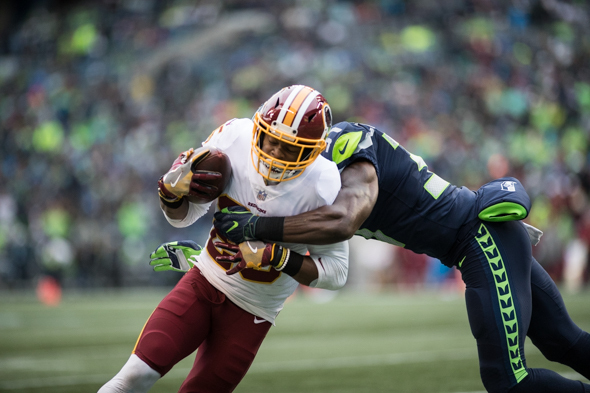 McKissic made a substantial impression in his 2017 debut Sunday, flashing 30 yards for a touchdown in the third quarter and snagging a 27-yard TD pass from QB Russell Wilson late in the fourth. Inactive for Seattle's first three games, McKissic probably would not have been on the field if third-down specialist C.J. Prosise hadn’t been nursing a hurt. Shortly after the mid-July All-Star break, the Mariners published a blurb in their game notes titled “Transactions in Bulk.” It noted that GM Jerry Dipoto had, since Opening Day, made 122 roster moves, averaging one transaction every 19 hours and five minutes, his major frenzy occurring May 9-23 when he made 32 moves. 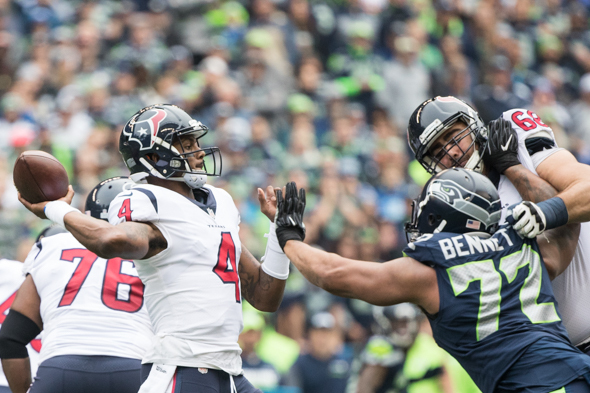 In one of the most astonishing and least appreciated feats in franchise history, the Seahawks led the National Football League in scoring defense every year from 2012 through 2015, allowing 15.3, 14.4, 15.9 and 17.3 points per game, respectively. Seattle also led the league in total defense and pass defense in two of those seasons (2013, 2014) and in run defense once (2015). 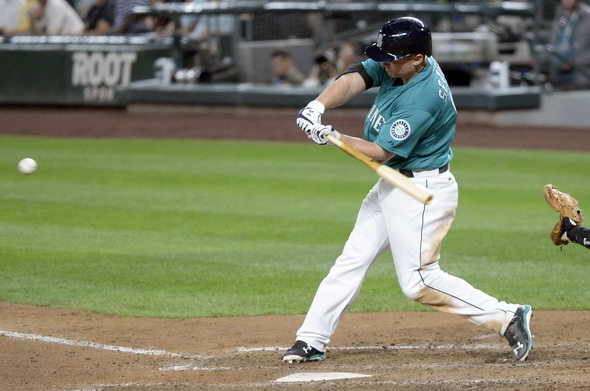 One week ago, the Mariners resided on the fringes of contention for the second American League wild card slot. But a 1-5 meltdown in the season's final home stand, including Sunday's 4-2 loss to Cleveland (box), officially eliminated Seattle (75-81) from the postseason for the 16th consecutive season. 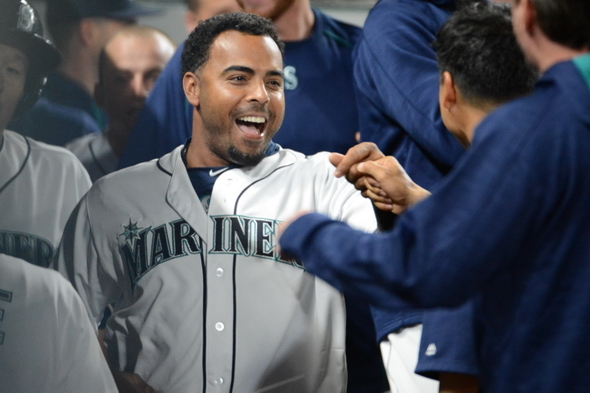 The Mariners play out the string to great yawns next week in Oakland and Anaheim. After falling to Washington 41-10 in the Pac-12 championship game in December, Colorado lost a four-year starter at quarterback (Sefo Liufau, the school’s all-time leading passer) and nine starters from a defense that ranked in the top 20 in the FBS. Largely as a result, Pac-12 media in late July picked the 2017 Buffaloes to finish fourth in the South Division behind USC, Utah and UCLA. 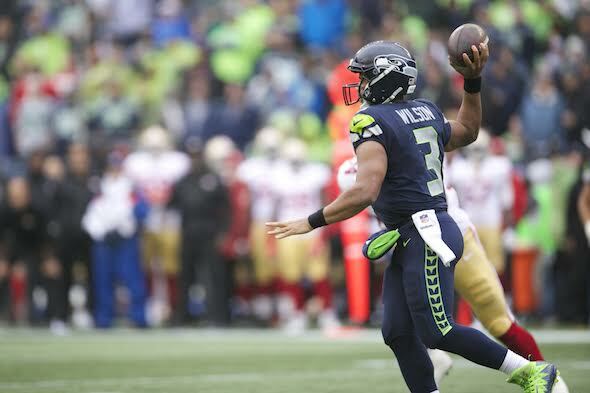 Seattle (1-1) defeated NFC West foe San Francisco 12-9 Sunday thanks to QB Russell Wilson’s 22nd fourth-quarter comeback and no thanks to the best offensive player at CenturyLink Field, 49ers RB Carlos Hyde, who gained 124 yards on 15 carries and twice set up field goals with long runs. After taking three in a row at Texas, the Mariners were broomed out of Minute Maid Park in Houston Sunday (box), losing the series finale 7-1 as Justin Verlander beat them for the second time in 12 days. The only good news for Seattle, which dropped six consecutive games to the Astros and 14 of 19 for the season, is that it doesn't have to play the AL West champions again. 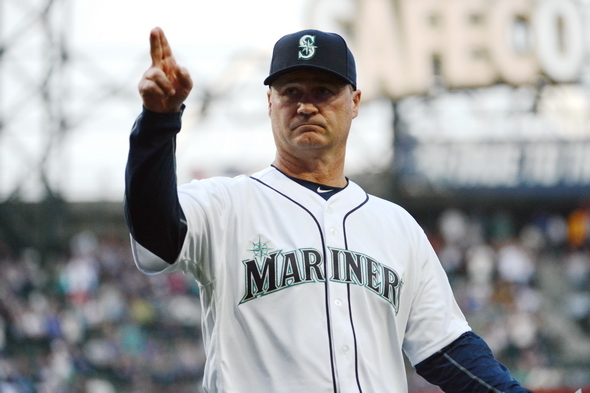 Not that it matters much: The Mariners fell 4.5 games behind Minnesota for the second AL wild card with 12 to play. 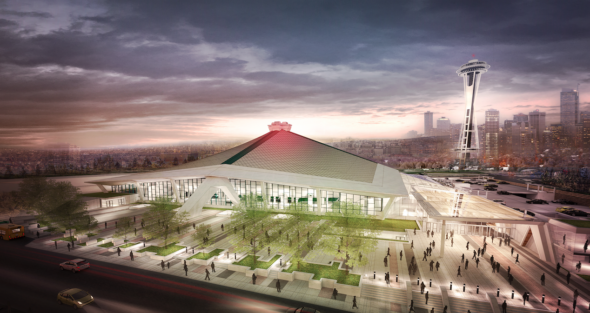 If Seattle Mayor Ed Murray and Oak View Group CEO Tim Leiweke get their way and all goes well, a spectacular makeover of what was KeyArena will debut in October 2020 that will include the city's National Hockey League team and concerts by world-renowned artists. The 2020 completion date assumes that construction would begin in October 2018. 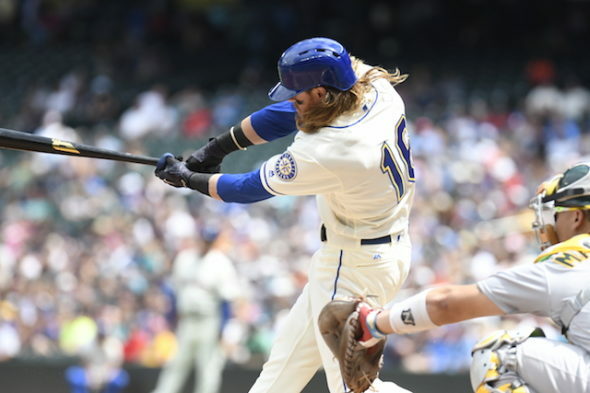 The Mariners did nothing to help themselves in the American League playoff race by losing four of six, including all three to AL West leader Houston. The 5-3 defeat to the Los Angeles Angels Sunday (box) leaves Seattle at 71-72, fourth in the West and in a nearly impossible position (see below) to reach the playoffs for the first time since 2001. Washington moved up one spot to No. 6 in the Associated Press college football rankings Sunday following Saturday night's 63-7 victory over Montana at Husky Stadium. 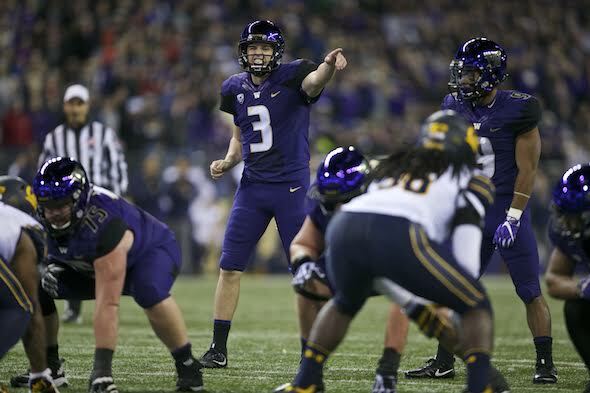 UW (2-0) collected 1,124 points, 200 fewer than USC, which jumped from sixth to fourth after its 42-24 triumph over No. 14 Stanford, which dropped to 19th.